Most people think wedding gowns are only white. But wedding gown trends and styles are pretty distinct and they change every year. Remember puffy sleeves from the 1980s? Well, we don’t see a lot of those designs these days in Niagara Falls or Niagara-on-the-Lake, but that’s not to say the trend will never return. If you’re getting married in 2015, the latest gowns for next spring were recently unveiled on the runways in New York. There are a few clear trends that have emerged, from pale hues to lace sleeves, but the overall sense is gorgeous. The off-the-shoulder neckline is a truly romantic style and it’s a great option for brides who want the feel of a sleeve, but not an overpowering one. During your ceremony, you will spend the majority of your time facing away from your guests and designers have, for the past few years, been focusing a lot of attention on the back of a gown. We’re seeing the trend of striking illusion backs continue, but this year, bare backs are also gaining in popularity, from open, draped and scooped cowls. Some designers are also adding delicate crystals and lace to accentuate that plunging backline. While we’ve seen bold colours emerge through reds and blacks for years, non-traditional romantic pale blues, greys, peach, pink and mint gowns are now floating down the runways. Just like with most things in life, it’s the details that count. The same goes for wedding gowns. This season, gowns are resplendent with sparking appliqué, pearl detail and oversized bows. This trend began after Kate Middleton walked down the aisle several years ago and it looks as though there’s no stopping it – Kim Kardashian also walked down the aisle in a lace sleeve gown at her recent wedding. Whether it’s a three-quarter length, cap or long sleeve, lace is hot! Noted L.A. designer Claire Pettibone (Facebook founder Mark Zuckerber wed Priscilla Chan in a Claire Pettibone gown) has unveiled a more affordable collection entitled Romantique. Gowns are priced from $1,500 to $2,800 US and began arriving in stores for Spring 2015 weddings. As your wedding day approaches, you’ll probably take a few minutes to think about how to thank those who have helped you along the way. Your bridesmaids have helped plan your Niagara Falls or Niagara-on-the-Lake wedding by assisting you with your gown selection. They’ve likely hosted a shower to remember. They’ve listened to you during times of stress. And they’ve given you some great advice along the way. PIN Here are some ways to thank the women in your wedding party with some unique bridesmaids wedding party gifts, from Niagara-on-the-Lake theatre and Niagara IceDog tickets to a getaway at a great Niagara Falls spa or a wine tasting at a Niagara-on-the-Lake winery. Either way, some of your guests, especially those who are coming to Niagara Falls or Niagara-on-the-Lake from out-of-town, might be upset. While many guests might be thrilled at the prospect of enjoying a day or evening without their children, others may be offended or annoyed. It’s possible that even close friends and relatives may refuse to attend the wedding ceremony as a result. Nevertheless, be up front with your guests. Notify guests as early as possible. Include the words “Adult only ceremony and reception” in all of the wedding correspondence, starting with the save-the-date cards, if you’re sending them out. 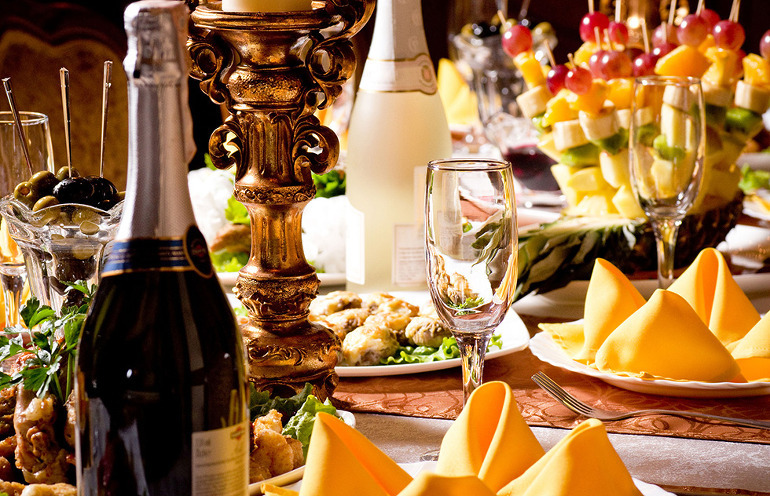 This gives guests ample time to make important decisions and arrangements. If you decide to have children at your wedding, that doesn’t mean you need to invite everyone. However, this is particularly delicate. If you want to only invite your nieces and nephews, communicate that with your other guests, otherwise, you’re sure to offend. You certainly don’t want to be dealing with any “why wasn’t my child invited” drama on your wedding day. The biggest fear with having children at your wedding is that they will misbehave. A wedding can be a long affair for children so it’s best to give them some responsibility during your ceremony and reception. The obvious choice is to appoint them ring bearers and flower girls. But you could also have them help hand out programs, distribute party favours or serve cake. Create a kids’ only zone. They will love the idea of having their own special place to go and it will be filled with things to keep them occupied, such as colouring, reading, board games, portable video games and movies. It’s unreasonable to expect children to eat the same food you’ll be served. If you’ve got kids coming, make sure you have something they will eat – chicken fingers, little pizzas, hot dogs or grilled cheese. See if the kids can get their meal served quickly so they can return to their kids’ zone. As well, make sure you seat parents and their children together at one table or at a neighboring table. You don’t want your single friend sitting at a table with a noisy family. Also, while some people think having a kids’ table is a good idea, it’s not. An unsupervised group of kids is the best way to turn an elegant dinner into chaos. The kids will have a blast when it’s time to hit the dance floor, but if you want them to sit through an hour of speeches, chances are you’re going to have some issues. Children have short attention spans so aside from having a separate area for them to go to, consider hiring a magician or balloon artist to entertain them for 30 minutes while your adult guests finish their dinners or during the speeches. This is the best way to keep the kiddy contingent under control. Hire a teenager or other chaperone to play with the kids and make sure everyone’s having a good time. This allows the adults to enjoy the event and the parents won’t be worried about whether their kids are jumping on your cousin’s kids. Above all, relax. Don’t worry if one of your nephews accidentally trips and destroys a beautifully wrapped present or your best friend’s four-year-old throws a gargantuan temper tantrum. If you’re having kids at your wedding, you have to realize you’ve invited all that they entail. Go with the flow and enjoy having them there. 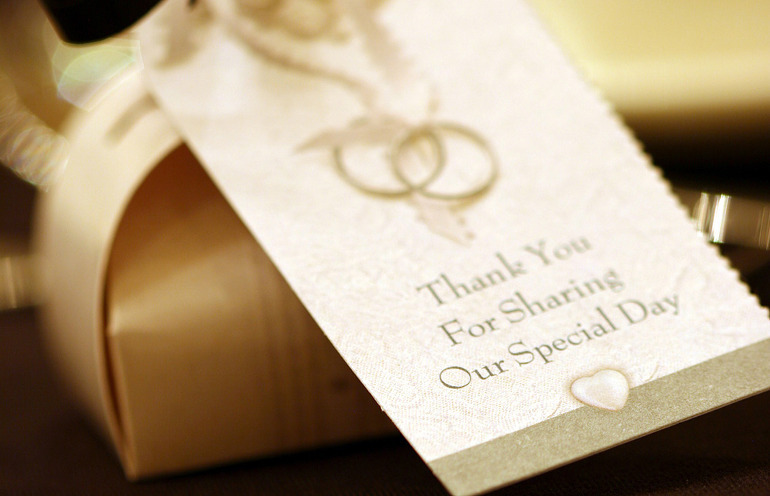 After awhile, you might think your wedding expenses might never end. And you might be temped to try and cut corners where you think it won’t be noticed. When it comes to providing wedding vendor meals to those who will be with you during your Niagara Falls or Niagara-on-the-Lake reception, you really have no other option. 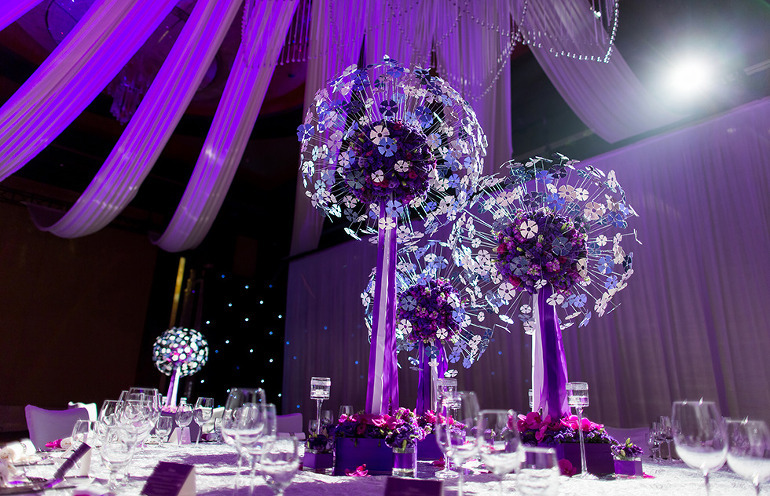 Trim Your Wedding Flower Budget – Flowers are often the most beautiful décor features of your wedding day, but they can also become one of the most expensive. You want to have blooming buds for your Niagara Falls or Niagara-on-the-Lake wedding ceremony and reception, but you don’t want to blow your entire budget on a floral wall. Here are some great ways to cut your wedding flower budget without trimming the beauty. Using greenery, such as ferns, eucalyptus and dogwood, is a great way to fill out your bouquet, centrepieces and other floral décor without compromising beauty. Foliage is much less expensive than flowers. You can also mix in non-greenery gems, such as berries, pinecones and embellishments, such as bling, ribbon or feathers, for a striking bouquet or arrangement. Make your flowers fulfill at least two functions. Your ceremony flowers can serve as centrepieces at your reception, your bridesmaids can put their bouquets on the head table, the guest-book signing table or favour table. Also, if possible, create larger tables of 10 to 12 guests instead of eight. Instead of decorating your reception tables with opulent or bud-filled arrangements, think about one or two blooms in a striking petite vase. Select seasonal fruit from a local farmer’s market, light some candles to create a romantic ambiance, group favours together or use another alternative to a traditional floral centerpiece. You need to have bouquets for your bridesmaids, but do they need to be large? Your ceremony might only last for 30 minutes in total, so do you want to spend $500 on a floral arrangement for the table where you sign the licence? Figure out where you really want your flowers to bloom and then scale back or omit greenery entirely in places that don’t matter. While you can usually have any flower you want at any time of the year, you might have to pay a premium if it’s not in season. Research what flowers are in season on your wedding day and talk to your florist about those. Think monochromatic. If you’re really looking for a pink bouquet, then let your florist fill your bouquet with less expensive flowers, such as carnations, baby’s breath, mums or gladiolas. You might have shied away from roses or carnations, but that’s because you’re thinking about what they look like in the grocery store. Your florist will have access to many different varieties, which might pleasantly surprise you – and your budget.